He and fellow worker David Bartlett passed out after opening the seal on the biodigester roof to fix a blockage. Mr Bartlett came to and ran for help. Mr Pitt never regained consciousness. He was given CPR and an air ambulance took him to hospital, where he was pronounced dead. The hearing at Bournemouth Town Hall heard that the dairy farm, which has been owned by the Yeatman family for three generations, was in a remote location near Blandford. Farm worker Mr Pitt was described as "fit and strong" and it was a clear summer morning on 24 June when the accident happened. Owner Owen Yeatman, who had 420 cattle and 1,200 acres of arable land at the time, had had the German-made biodigester installed the year before. How do anaerobic biodigesters work? It works by burning methane gas from rotting manure, crops or slurry to produce electricity. But it also produces hydrogen sulphide, which smells like rotten eggs and is very poisonous. The workers were trying to loosen up a crust that was preventing the biodigester from working properly. Mr Pitt is thought to have breathed in the gas even though he was probably wearing a gas mask, the hearing heard. A German engineer from the firm Biogas Nord, which built the biodigester, told the hearing it was very unusual for untrained workers to take on such dangerous tasks. Kurt Groenke said in Germany, the work would be carried out by "qualified service personnel, not tractor drivers". 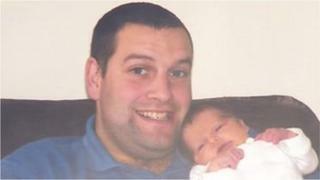 Mr Pitt, from Sturminster Newton, had become a father eight months before he died. A joint investigation by police and the Health and Safety Executive at the time found there was "insufficient evidence to support a prosecution for manslaughter or corporate manslaughter". What is the future for biodigesting?